This has always suffered as the follow-up to the towering “Exile On Main Street”, “Goat’s Head Soup” has never been given too much credit. It has been criticised for being lazy and for having a muffled, muddy sound (even more so than “Exile”). The latter is undoubtedly true, and no amount of remastering will make any difference to that. However, it is not really a “”lazy” product. “Louche” is maybe a far better description. There is some great stuff on here, menacing, mysterious and moody. The devilish “Dancing With Mr D”, the sublime “Angie” and the semi-funky and vibrant urban menace of “Doo Doo Doo (Heartbreaker)” are stand outs. However, there are also unsung heroes too - the bluesy, insistent "Exile"-style groove of "Hide Your Love"; the piano-driven, tender ballad “Coming Down Again”, with its saucy "stuck my tongue in someone else's pie" lyric and the doleful, bluesy “100 Years Ago” with is impressive funky organ/guitar extended instrumental ending. The energetic blues rock of "Silver Train" is a bit under-cooked, sound-wise, but there is no arguing concerning its vigour. "Winter" again suffers from a few sound problems - a slight crackliness during the opening guitar, but it is a beautiful slow rock ballad nevertheless. 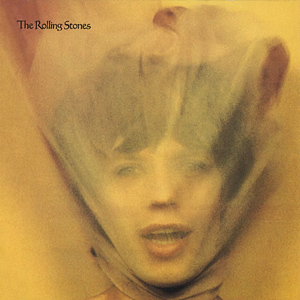 If it didn't sound at times as if it had been recorded in someone's garage, it would be a Stones classic. 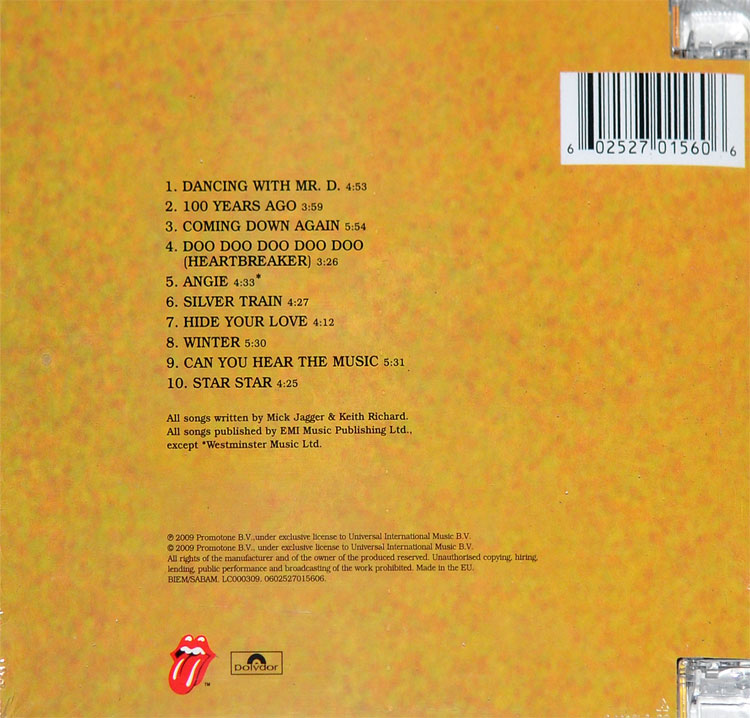 “Can You Hear The Music” is a partner to “Sticky Fingers”’ “Can You Hear Me Knocking” in that the vocals end after a couple of minutes, followed by an extended instrumental last two thirds of the track. “Star Fucker” is still available in its original, uncensored, tasteless self. All the better, because the latest “doctored” version sounds as if something is going wrong with your sound reproduction for a few seconds. The risqué original is far superior. The muddy sound sort of adds to the appeal of the goat. It is very much a product of its time, put it on and its October 1973 again. Worth a bit of attention. 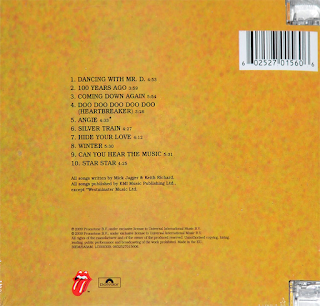 Indeed, Mick Jagger said of the album when comparing it to its predecessor - “…There’s more thought to this one. It was recorded all over the place over about two or three months. The tracks are much more varied than the last one. I didn’t want it to be just a bunch of rock songs….”. Listening to it again, you can sort of see what he meant. To be honest, they are still a bunch of rock songs, but there definitely is some variety of styles and sounds in there.